This however, amazes me that it tastes outstanding with only three ingredients and its super quick. So, therefore I can now say that I have found my new morning favorite which I can eat almost every day especially till the sun shines. 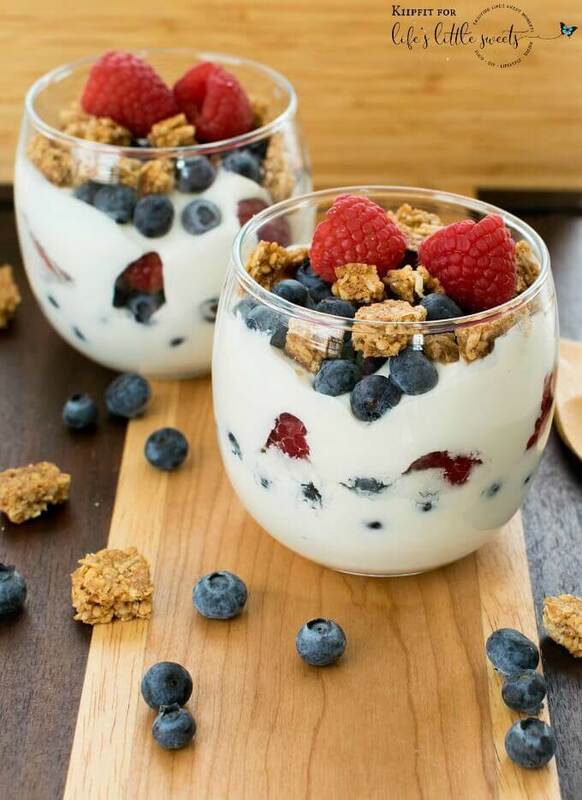 The best part of this parfait is that you can swap granola with the chopped cereal bar of your choice. 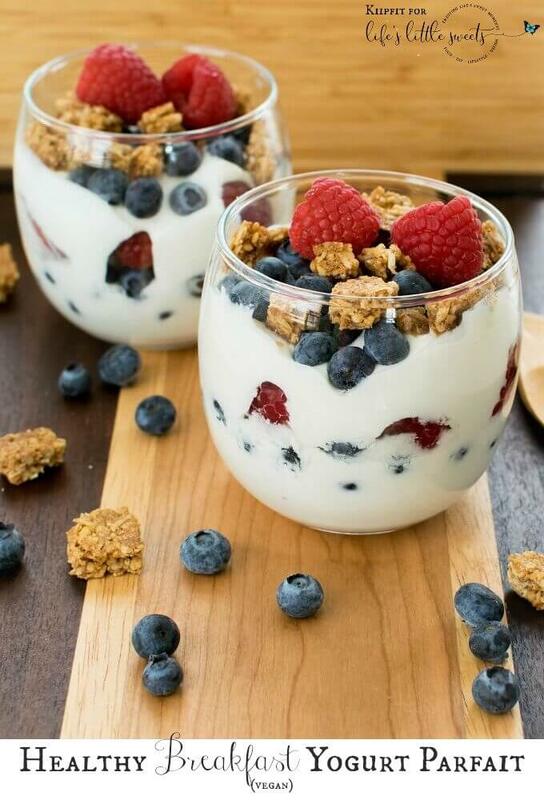 This step makes it even easier to fix the parfait. 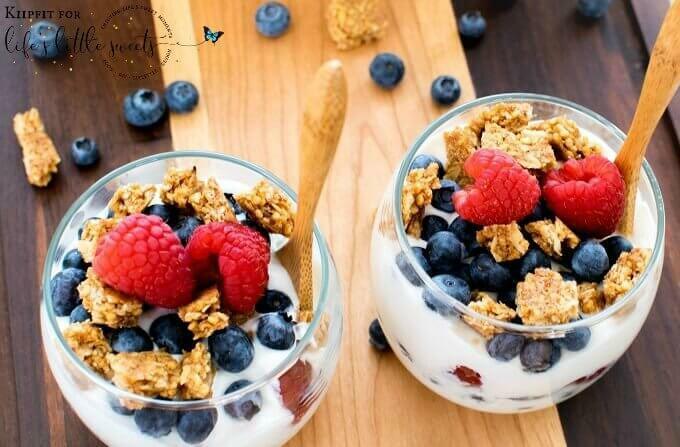 All in all I am sure you will love this Healthy Breakfast Parfait as much as I do! 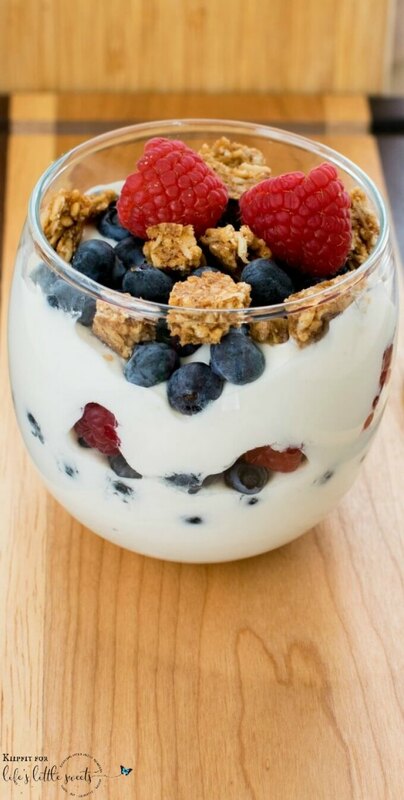 This Healthy Breakfast Yogurt Parfait is easy to whip up and uses only three ingredients to make your morning routine super easy and lip smacking. 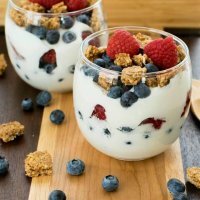 For this recipe I used almond milk based vegan plain yogurt. If desired feel free to whip up the yogurt with 1-2 tsp sweetener of your choice. 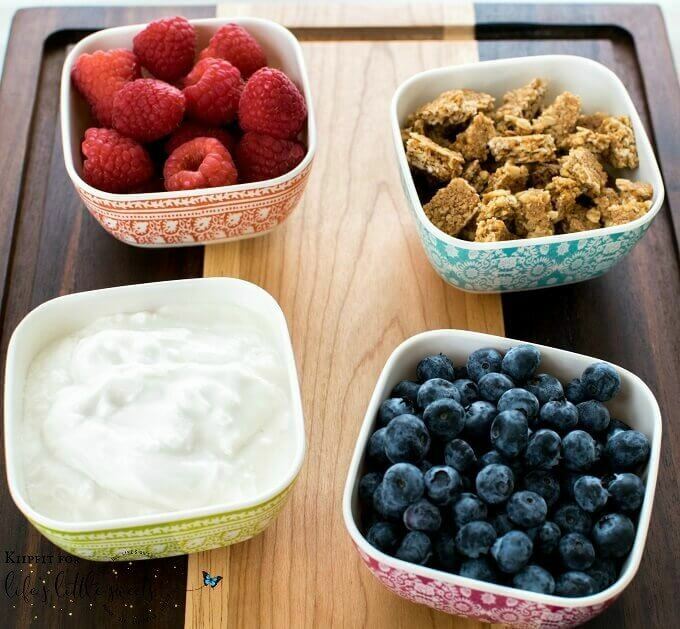 Vanilla yogurt also goes very well in this combination. I am Gunjan Dudani from kiipfit.com. In my blog I share healthy vegan recipes that I create in my own kitchen. My fascination with healthy and vegan recipes began over two years ago, when I realized that as a result of being over-weight I had developed certain health related complications. I understood that the one way I could improve my health and set an example for my little daughter to follow was to transform my diet. But I also knew that no transformation in my diet could be sustainable unless what my family and I ate are also delicious and fun to eat. And hence, kiipfit was born! Over the past two years I have gained thousands of followers and my recipes have been featured in some of the leading blogs and food journals of the country.